cannot be thrown to the dogs. chosen, manna is given to the fathers. 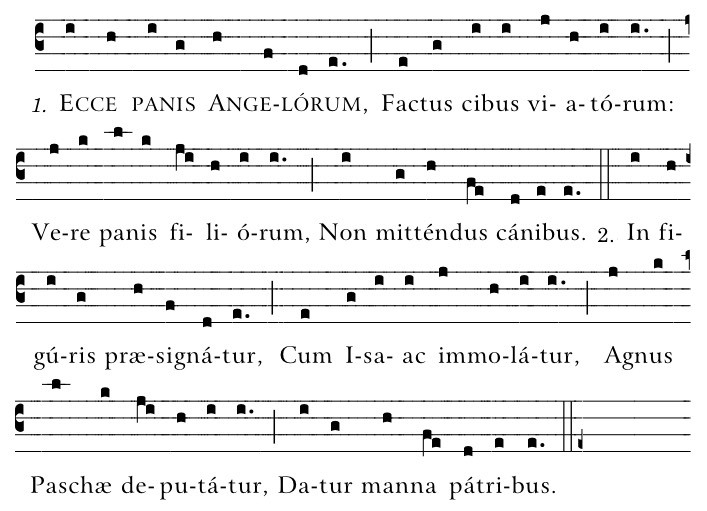 coheirs and comrades of the holy citizens. 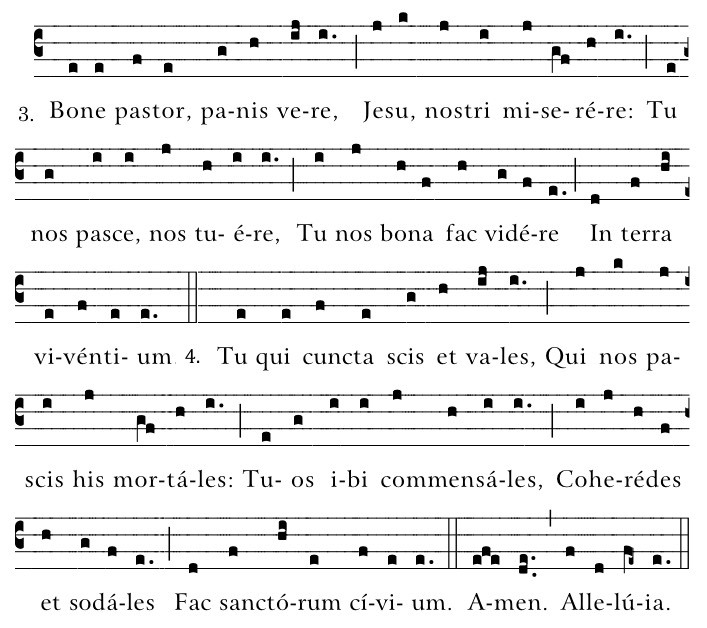 Last four verses of "Lauda Sion" (Corpus Christi Sequence).